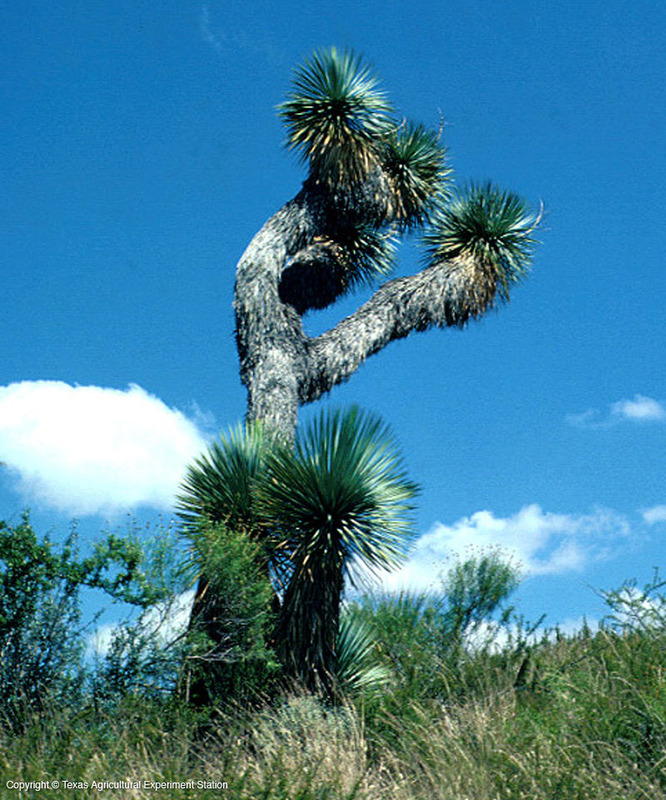 Beaked Yucca is common in the Dead Horse Mountains and Black Gap wildlife refuge and other areas of west Texas. It is a thin-leafed tree yucca with several heads of bluish to yellowish leaves that have a sharp spine tip. The leaf margins are yellow and smooth.